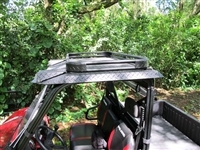 Home > Search for "deep south"
Durable aluminum one piece roof. This one piece aluminum roof will not leak and can be trailered without issues. 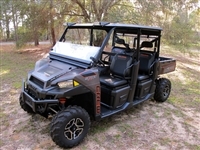 This front rack mounts on the hood of the Polaris Ranger XP570, 900, or 1000 and gives you additional transporting capability while adding a stealthy and sleek look. Add yours today! This one piece aluminum roof will not leak and can be trailered without issues. Strength and function at a price that can't be beat. 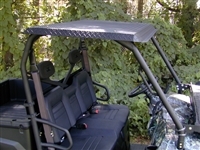 This 1/8" powder coated roof for the XP570, 900, and 1000 standard cab Polaris Ranger is light weight, fully trailerable, and won't leak. 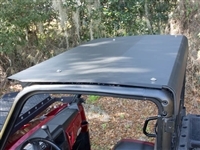 It is a one piece Ranger crew cab roof that is like all Deep South products, fully trailerable and without question the lightest, strongest metal roof out. This roof is capable of so many things other than doing a great job at keeping the sun and rain out of the cab. 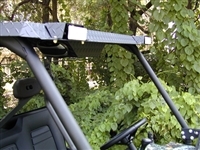 Comes complete with mounting hardware and requires no drilling etc. 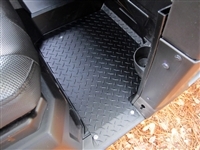 Installation is very simple and it takes very little time. The lightest, strongest metal roof out there. 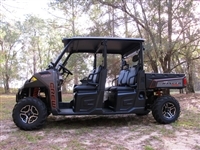 It will work with every accessory made by every manufacturer that we know of including OEM. This window is shipped completely assembled. 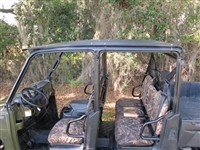 The top half folds down and locks securely or the entire window removes in seconds for increased airflow thru the cab or for trailering. 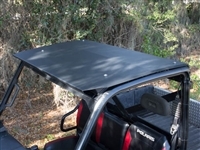 A light, one piece aluminum roof that will never leak or blow off when your Ranger is being trailered. 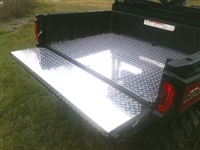 This crew cab roof is constructed of rugged 1/8 inch aluminum diamond plate that is powder coated a no glare black. 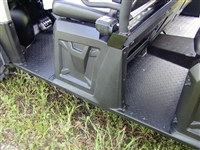 It is a one piece full size crew cab roof that is fully trailerable.